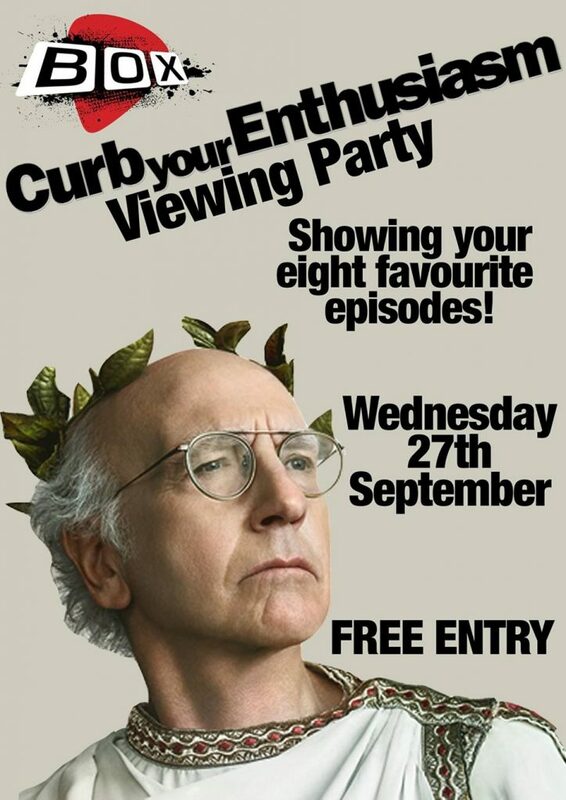 To celebrate the return of Larry David, we are showing 8 of the best episodes of Curb in the pub on Wednesy 27th September! 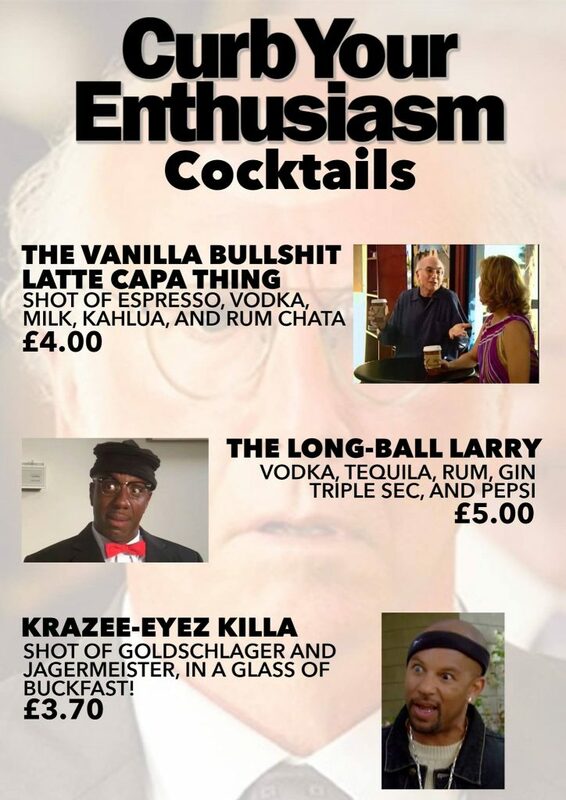 Kicks off at 8pm, so get here early, and get a couple of of Curb Cocktails too! Live music from the excellent The Blueswater will follow from 11pm!